266B5A58-B1CA-4C90-A44A-8EEADD04DE2F.jpgA33C5B33-8D49-433C-8F7C-ACD9418750F9.jpgEED50DCE-ABC0-41F2-96D2-F5B21C5D5CA5.jpgDD13DB9C-C64E-492A-BDDD-47298F2D0A79.jpgPretty excited. Picked her up this arvo for a small price. First impression was oh it’s heavy. Once home I took off the screen and holder to give it a clean in solution. The holder was pretty grotty. Jumped online and ordered new screen, group head gasket, Silvia wand etc. even so I put her back together to check operation. I ran a lot of solution through it as well as fresh water. Unfortunately I cant find my blind to back flush it and I had already placed my order. Is there much of a benifit to back flush as opposed to dosing the tank with solution and running through? Last edited by SunnyCoastDazza; 4 Weeks Ago at 09:38 PM. First I think we need to establish what kind of solution you are using. Cleaning solution is a mildly caustic detergent and normally used to soak and scrub parts like shower screens etc. as you have done. It's also used for back flushing to get the oils and other undesirables s out of the three way plumbing. However it's not usually put in the tank and run through the machine. That's normally done with de-scaling solution to remove scale from the system. It's an organic acid solution that dissolves lime scale. I doubt that you have done any harm if you ran cleaning solution through the machine, but it will need lots of flushing to get it all out. Just be careful running the vibe pump for too long without a break. The makers typically recommend a 2 min on - 1 min off duty cycle for coffee machine vibe pumps, but some models are rated 1:1 on/off. Sounds like the previous owner of the machine didn't do much back-flushing, so yes, you do need to give it a good back flush to clean out the pressure relief section. Since you have cleaned the screen and holder, and if you gave the inside of the group-head a good scrub, then it's not as urgent but should be done eventually. Some makers supply a back flush disc instead of a blind basket. It's just a rubber disc that fits neatly into the bottom of a normal basket and blocks the holes. I have seen pics of one that was user made from a bit of scrap rubber. Re the pics : you need to have at least 5 posts before you can attach them. Not sure if that means you can add them to post No.5 or No.6, but you should be able to do it soon. 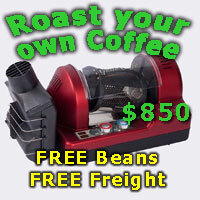 Your Classic is a great starter machine to get you into the world of espresso based coffee. They are easy to maintain and repair, and will last for decades with a bit of TLC. I had one about the same vintage as yours, and my grandson is still using it. I have one that is nearly 10 years older ( totally dismantled atm ), but well worth rebuilding when I find the time to do it. Last edited by deegee; 22nd March 2019 at 04:37 PM. the product I have is called cafetto 25% sodium per carbonate. Very similar to a product I use to sell when I worked in the chemical game call dipit. We also repackaged dipit for cerebos greggs who sold it as a back flush product. What would you recommend yourself? Yes, that's the same one I use for back flushing, and soaking parts in, though I have used Sodium Percarb laundry soaker when I run out.